Westchester Residential Opportunities participated in 2017 and 2018, along with some 30 other affordable housing, community development, fair housing, for- and nonprofit organizations, in a Regional Affordable and Fair Housing Roundtable, co-convened by Enterprise Community Partners and the Fair Housing Justice Center. 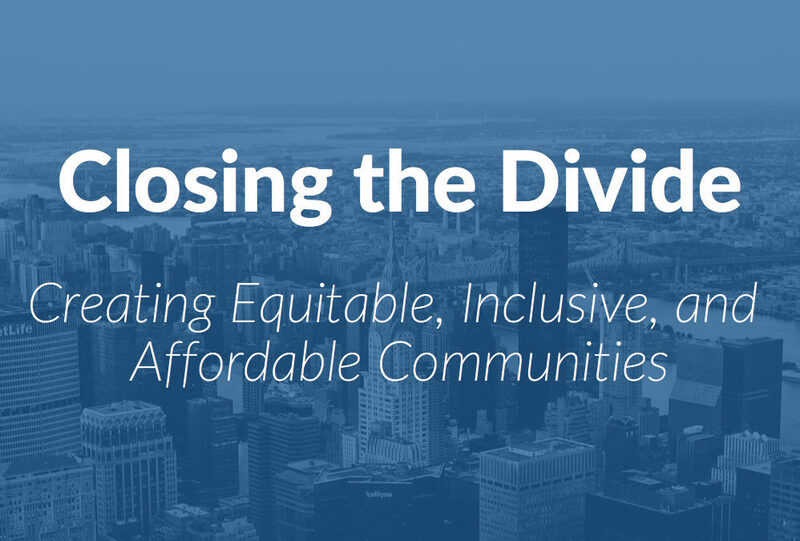 The results of that partnership are set out in Closing the Divide: Creating Equitable, Inclusive, and Affordable Communities, a shared policy agenda highlighting several recommendations to address issues faced by the affordable and fair housing industries, across the New York City region. You may download a copy of that report below.